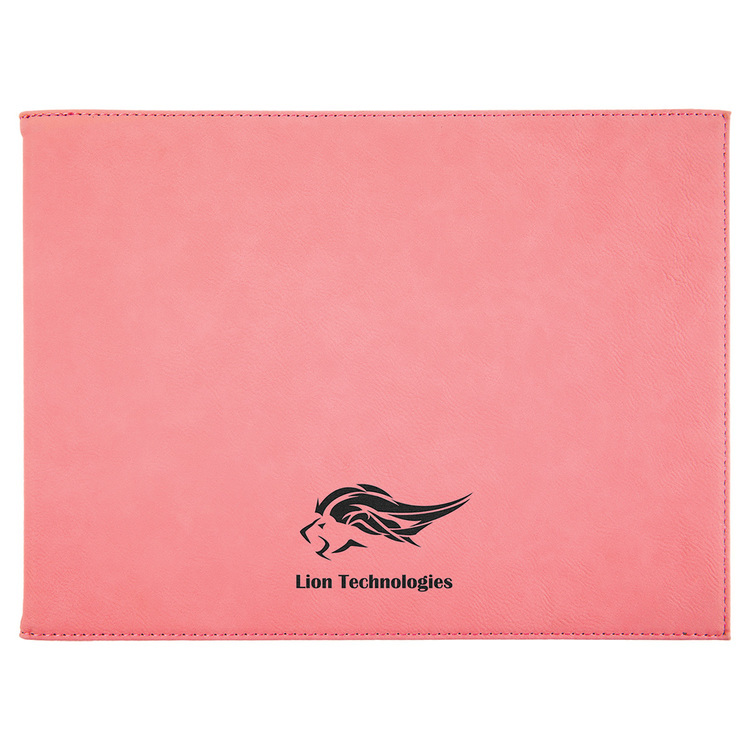 This Laser Engraved certificate holder offers the look and feel of genuine leather at a fraction of the price. This richly textured, synthetic material is water resistant, easy to clean and durable enough for the rigors of daily use. 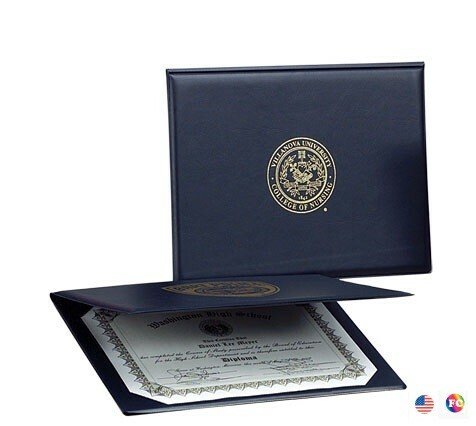 This certificate holder also is made of cardboard inside. 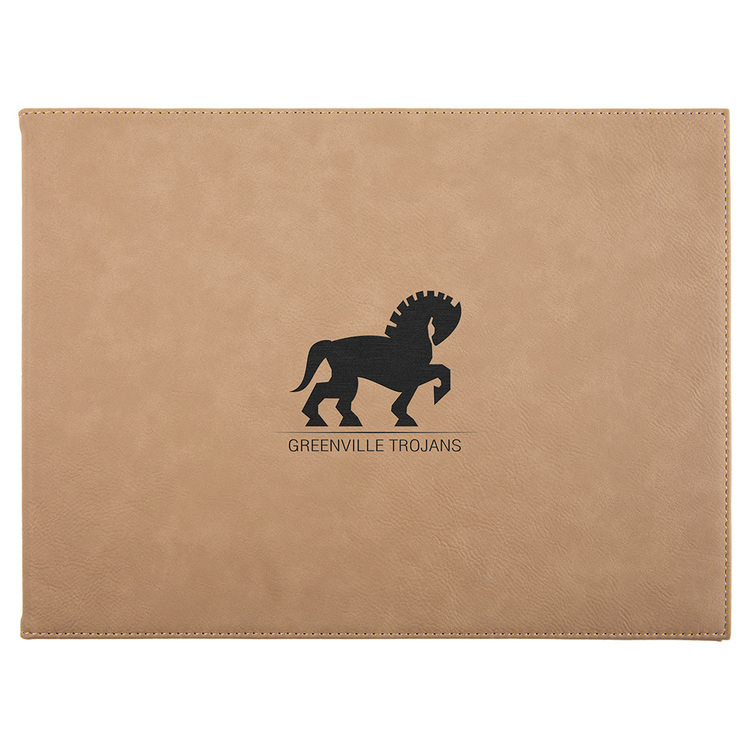 This makes a great gift for either a certificate or a degree. 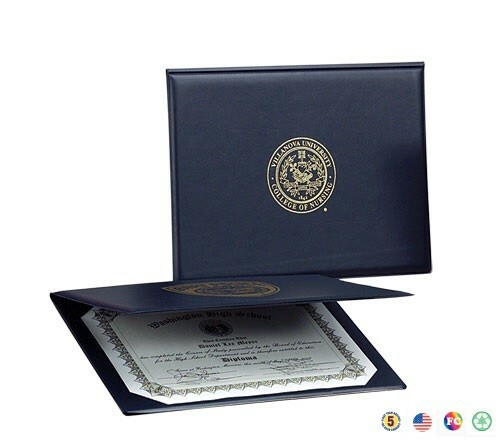 The certificate holder will hold a certificate of 11" L x 8.5" H. The laser engraved imprint color is black. Exterior, interior and corners made of Premium Castilian III Vinyl. 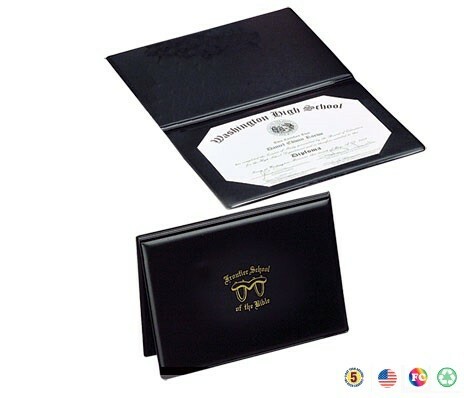 Holds two 5" x 7" diplomas and includes two clear acetate sheets. 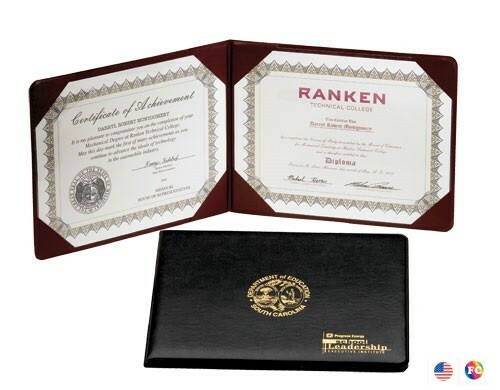 Premium “soft feel” expanded vinyl exterior with interior liner slits to hold an 8 1/2” x 11” diploma. Present With Pride! 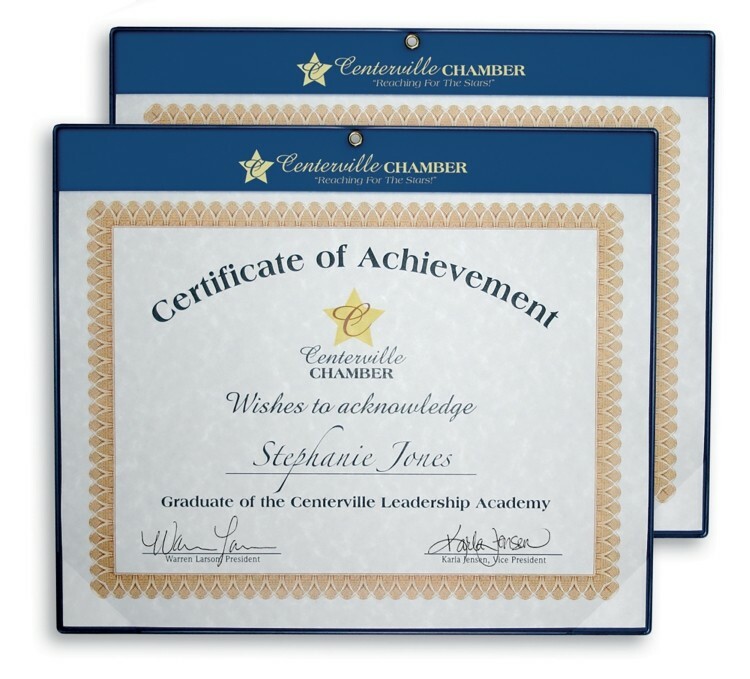 Show participants you value their accomplishments by presenting their certificate in our professional presentation holder. 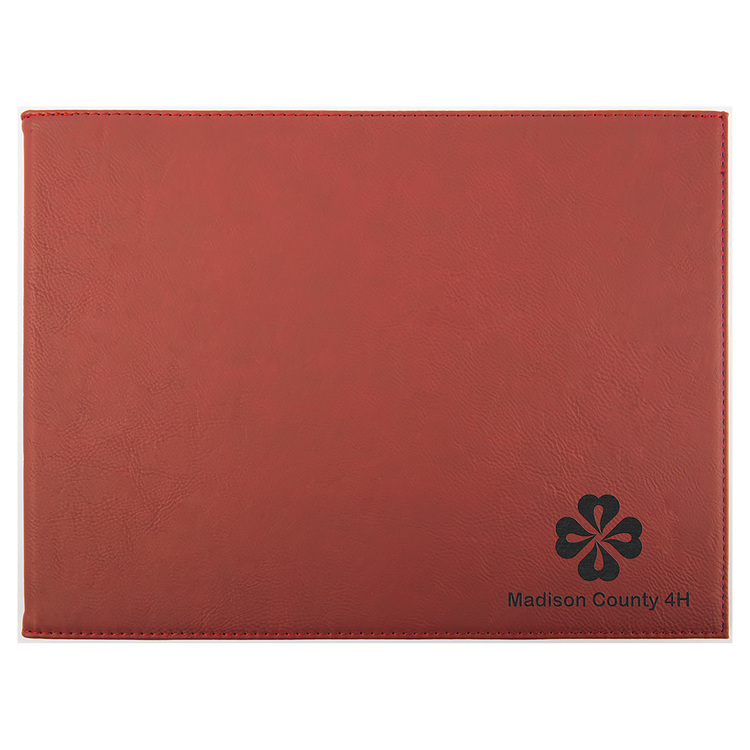 Recognition documents will be cherished and protected for a lifetime with our suedene constructed holder. 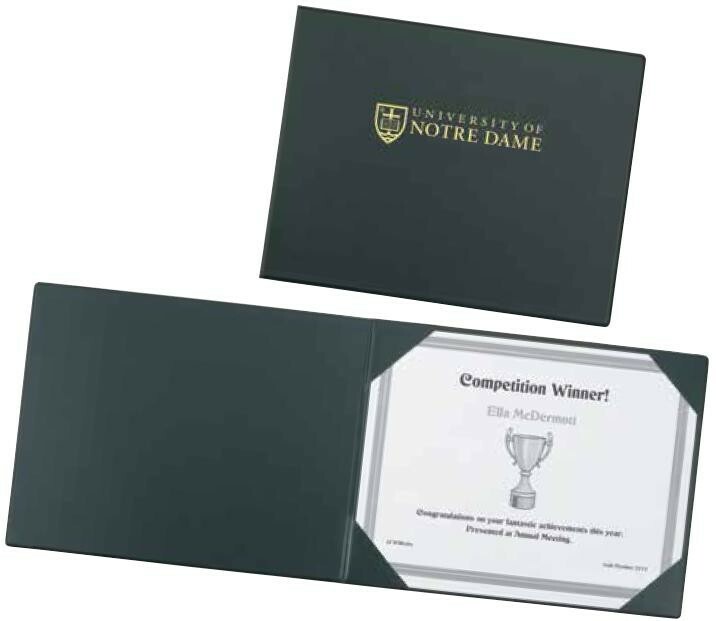 Simply slide the certificate into the frosty corners for secure placement. 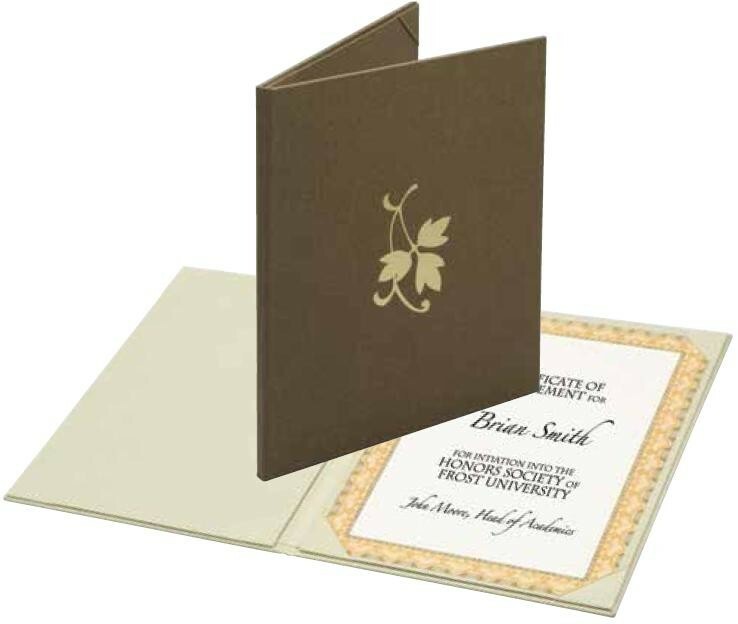 Choose 4 or 8 corners to accommodate up to two certificates. A great idea for schools, universities, and corporate training centers! Display With Pride! 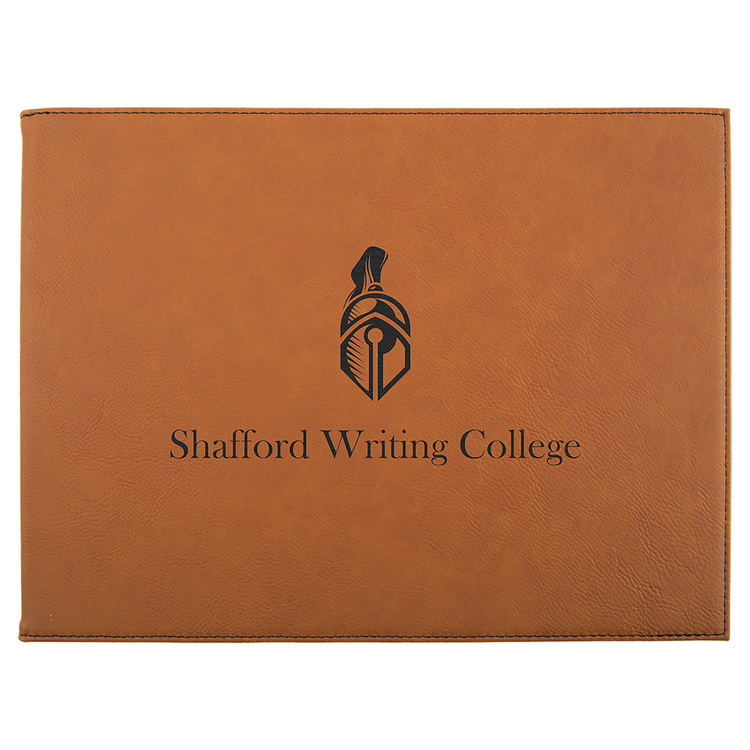 You've worked hard to reach your goals - so show off your achievements with our Wall Certificate Holder! 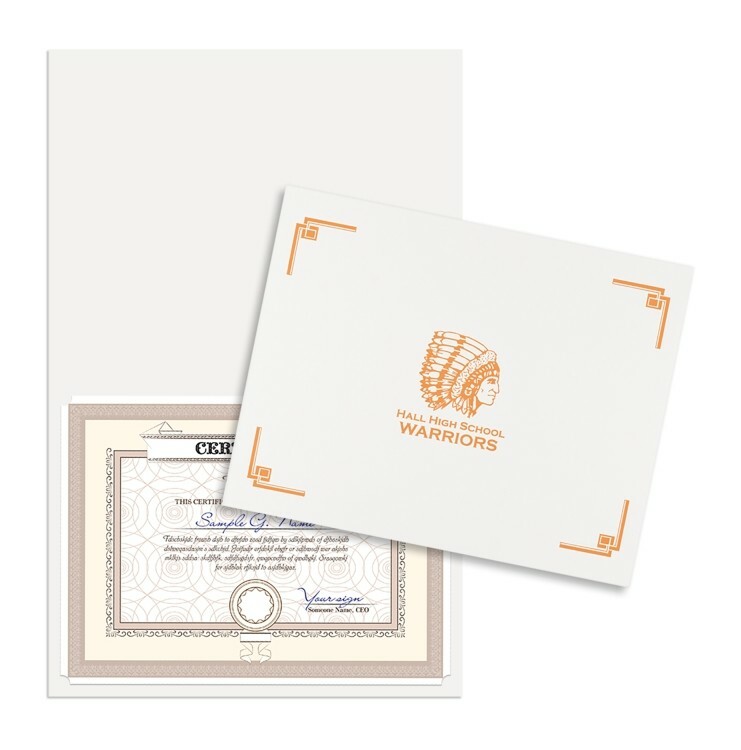 Our selection of colors will help showcase your certificate with pride. 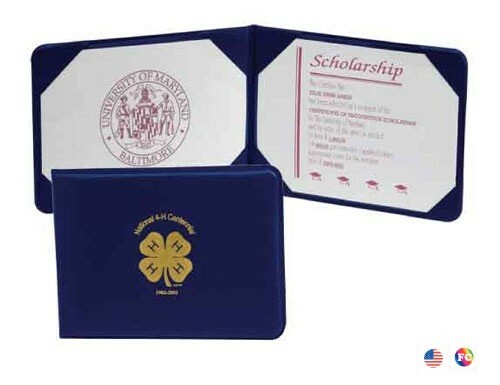 Certificate is held in place with with clear corner tabs. Attaches easily to any wall utilizing a metal reinforced hole. When Only The Best Will Do! Show participants you value their accomplishments by presenting their diploma or certificate in our professional presentation holder. 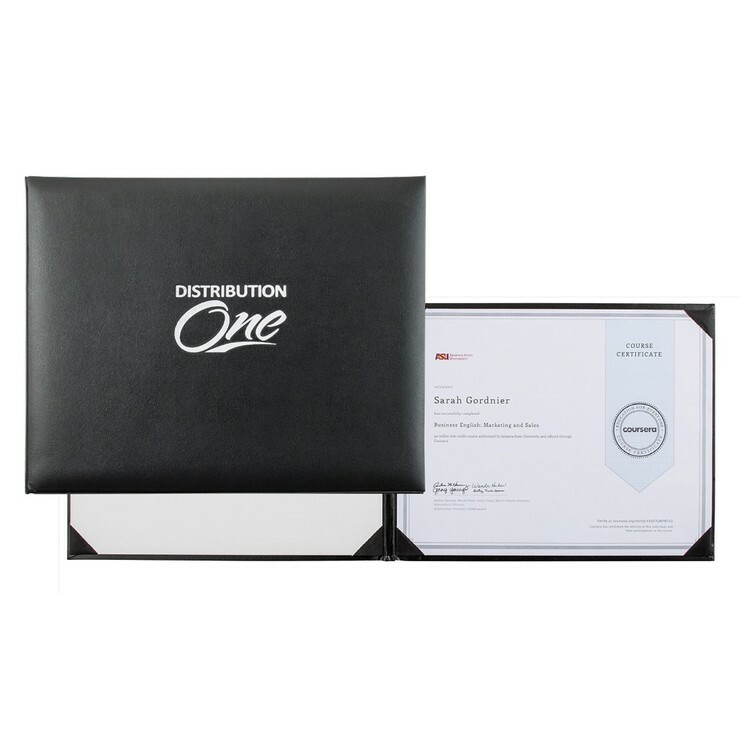 Recognition documents will be cherished and protected for a lifetime with our deluxe presentation holder. Our castillion vinyl has the look and feel of leather creating a high quality piece anyone would be proud to receive. 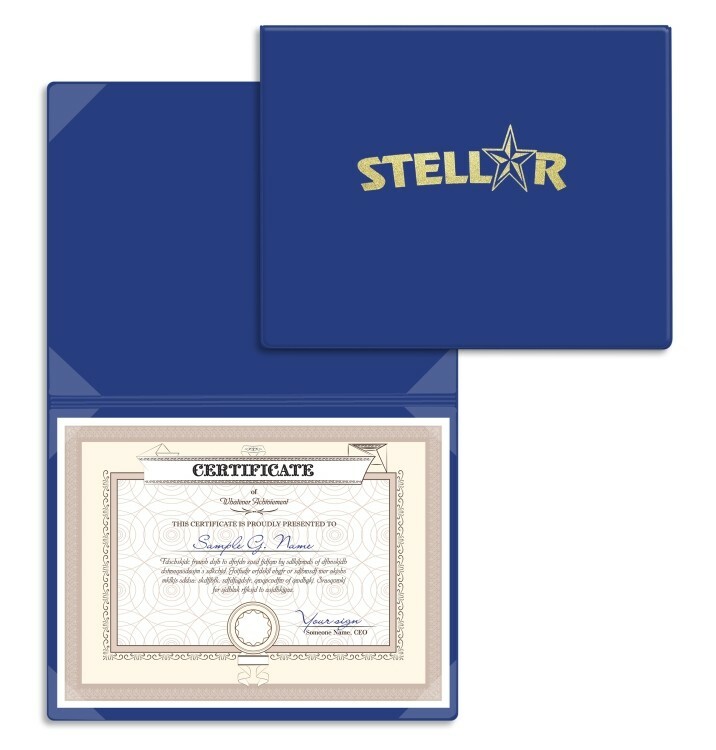 Premium “soft feel” expanded vinyl exterior with interior liner slits to hold a 5" x 7" diploma. 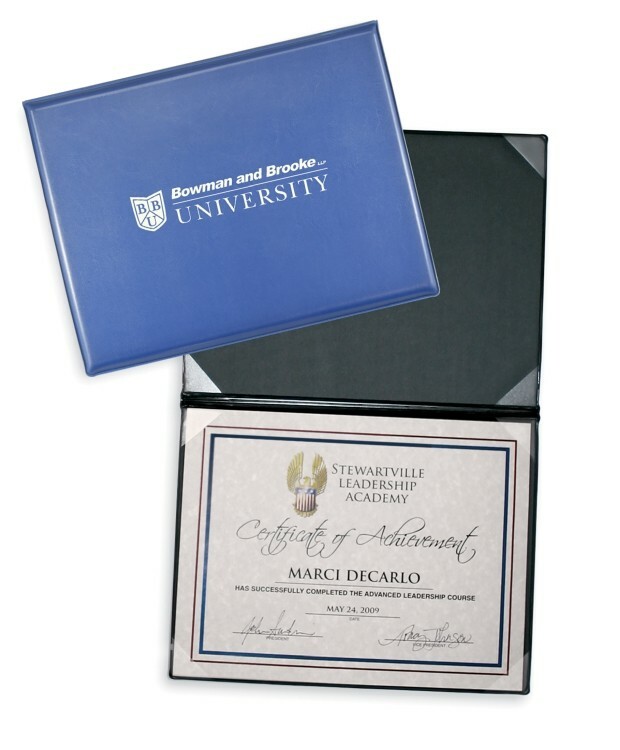 Premium suedene vinyl exterior with interior liner slits to hold a 5" x 7" diploma. 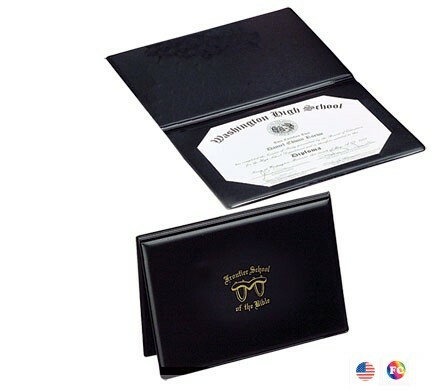 Premium suedene, non-padded vinyl exterior with interior liner slits to hold an 8 1/2” x 11” diploma. Our Classic 80# Linen Certificate Folder. . . A favorite among teachers, educational professionals and youth organizations! This economical folder design allows the affordability to highlight student achievements in a special way.